Sarajevo/Tesanj/Prnjavor - Employment and Social Affairs Platform (ESAP) project of the Regional Cooperation Council (RCC) organised a regional 3-day Workshop on Local Employment Partnerships, which started in Sarajevo and continued with field visits the to municipalities of Tesanj and Prnjavor that ended today. 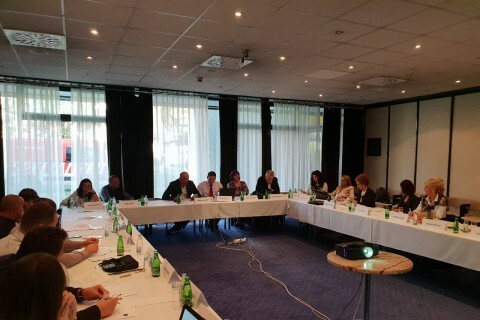 The Workshop, hosted by Bosnia and Herzegovina, gathered representatives of the Ministries of Labour, Public Employment Services (PES) and other participating local actors. 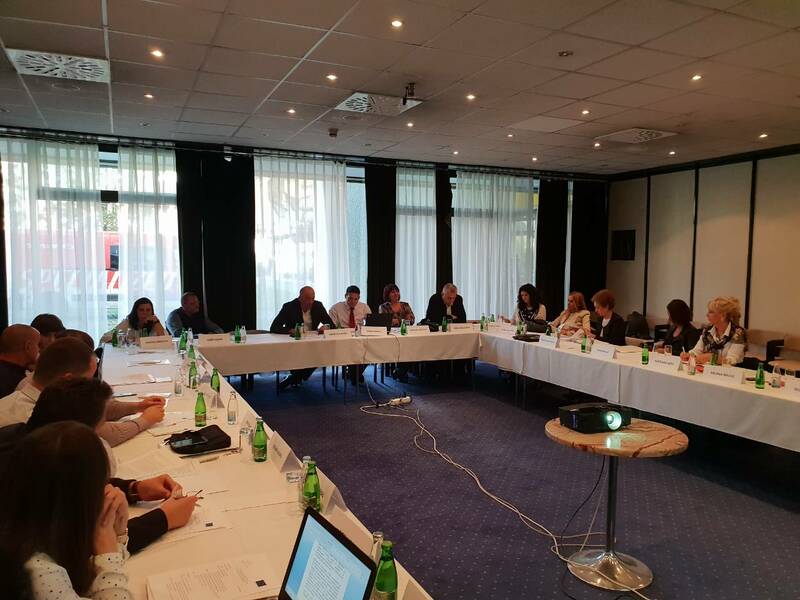 At the beginning of the event the participants met in Sarajevo to discuss status of local employment partnership in Western Balkan economies. The panel discussion was opened by the representatives of ESAP project and PES offices from Bosnia and Herzegovina. 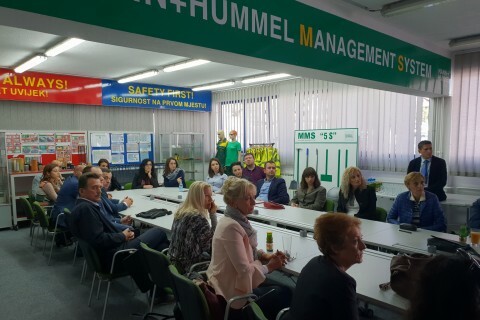 The second part of the workshop involved field visits to two municipalities - Tesanj and Prnjavor, with good practices and experiences with local employment partnerships. 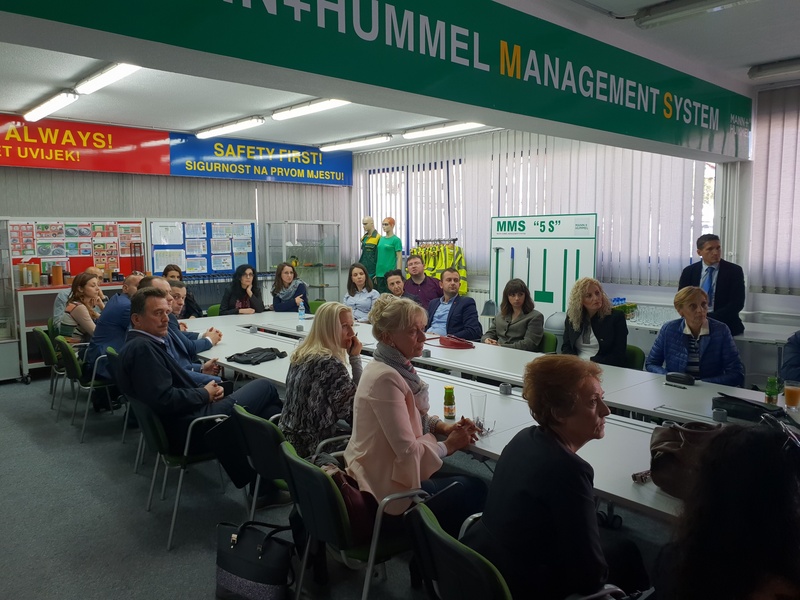 During these visits the participants met with representatives of local administrations and governments, business community, and NGO sector and also visited companies within the partnership framework, as well as a high school in Prnjavor municipality. During these visits the Workshop participants learned about different but practical models of local employment partnerships functioning in these two municipalities, the core of which could be replicated to other municipalities in the region to promote job creation. Tesanj municipality is home of some important public-private partnership initiatives, primarily led by the Secondary Vocational School. 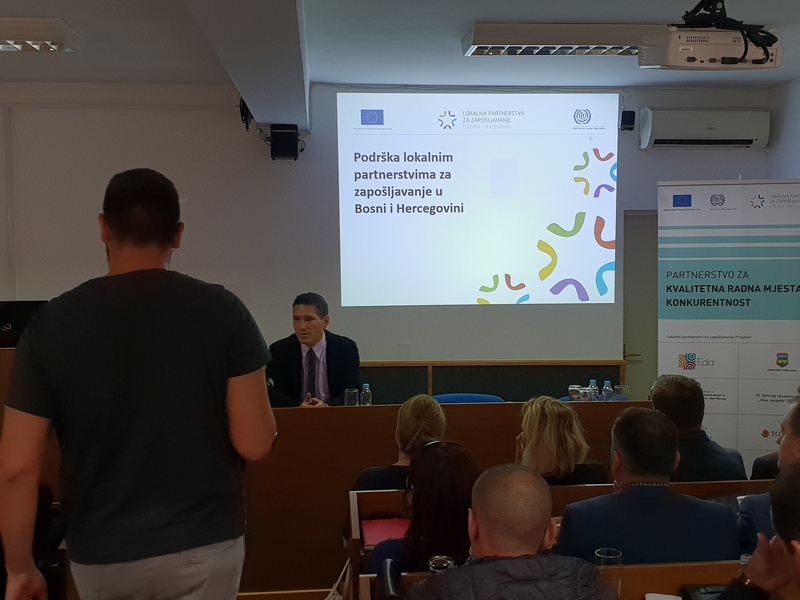 The School, in cooperation with several employers from this and neighbouring municipalities, established the first dual educational system in the Bosnia and Herzegovina that revised curriculums in line with employer’s needs. It also worked on re-training of unemployed persons, whose chances to find employment were significantly improved afterwards. Prnjavor is a good example of how to set up donor-driven activities in a sustainable way. 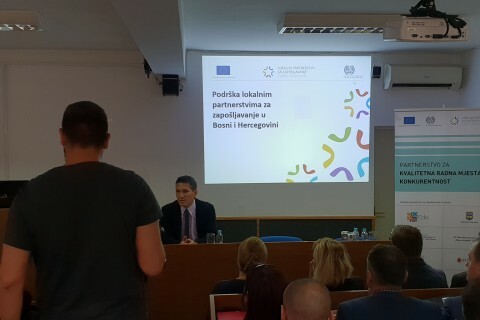 The municipality, with the EU funds, is implementing the project focused on prequalification of job-seekers, and relation between educational system and business sector. The project provides a solid basis for local cooperation through development of the partnership aimed at supporting development of vocational education, through providing recommendations on enrolment plans, and curriculum planning and implementation.